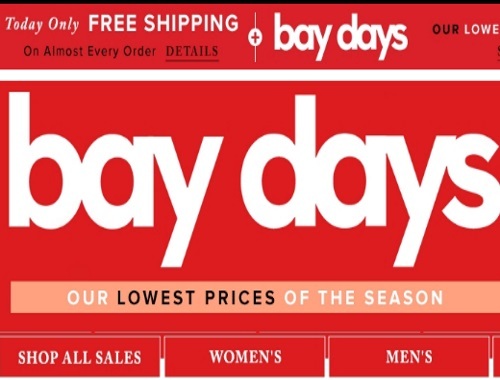 Hudson's Bay "Bay Days" promotion starts today! Get the lowest prices of the season! Also, get Free Shipping on almost every order today only. Offers end Sunday, October 16 at 11:59pm ET.